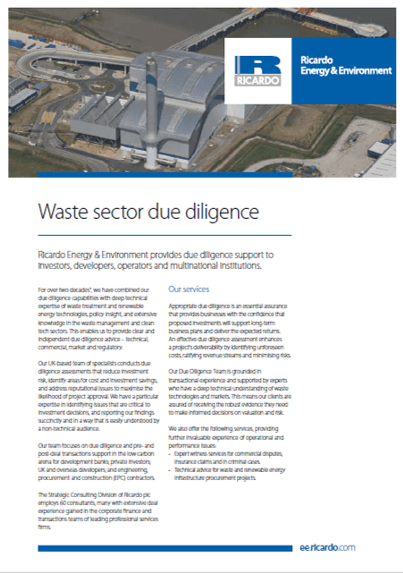 Ricardo can support you to derive valuable resources from separated or mixed municipal and commercial and industrial (C&I) waste, offsetting the use of virgin materials, reducing reliance on landfill disposal and potentially reducing your greenhouse gas emissions. 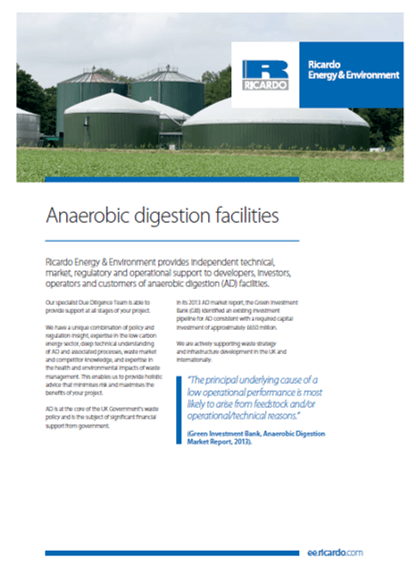 We can support you in understanding the complexities of pre-treatment, waste acceptance and quality requirement, as well asproviding guidance on the end market for fuel or recovered material. 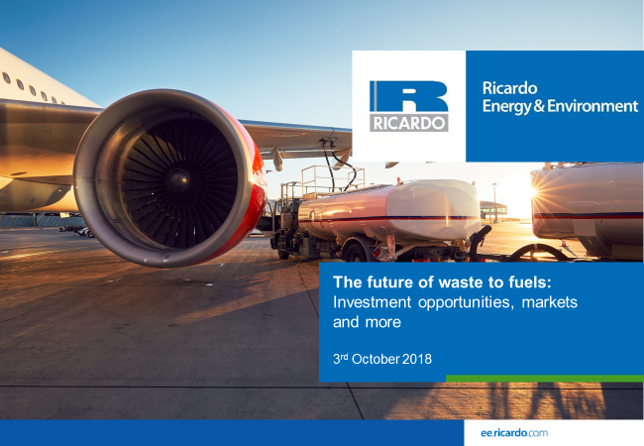 Ricardo has undertaken extensive research on waste treatment technologies, including processes, uses, advantages and limitations and suppliers and can support you in the categorisation of different technologies in terms of capacity, suitable feedstock, outputs, and energy recovery efficiency. Technology assessment and options appraisal. Best available technique (BAT) assessment. 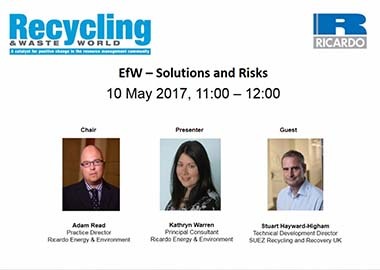 Commercial and regulatory risk review. 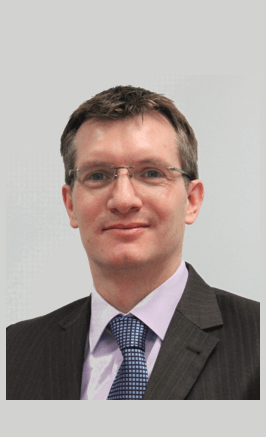 Process optimisation and performance testing. Composition analysis and risk assessment. Waste-derived fuel (refuse derived fuel and solid recovered fuel) quality specification. International reviews of EfW and ACT technologies for WRAP, the Energy Technologies Institute and private sector clients; assessed EfW opportunities and barriers, including for Zero Waste South Australia and European Pathway to Zero Waste. Technical validation and audit of CHP schemes certified under the CHP Quality Assurance (CHPQA) Programme. Our specialists conceived, developed and implemented the CHPQA methodology to assess, certify and audit Good Quality CHP. Led the preparation of the waste incineration BREF through seconded technical experts. Waste to fuels technology is an exciting growth area. 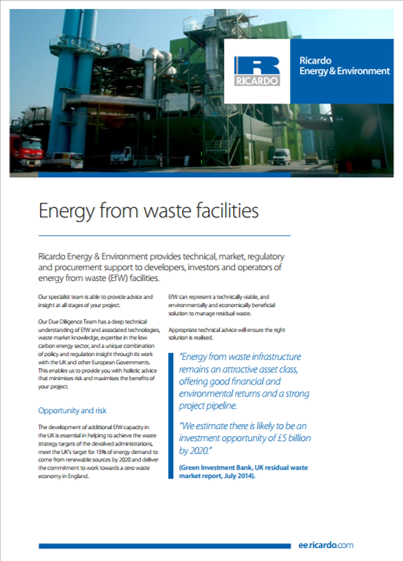 Our team has been supported waste to fuel projects for several years and we have seen a surge in interest in this area. This webinar session provides an overview of the current state of the market, key drivers and barriers, and the critical role of technical and commercial due diligence.